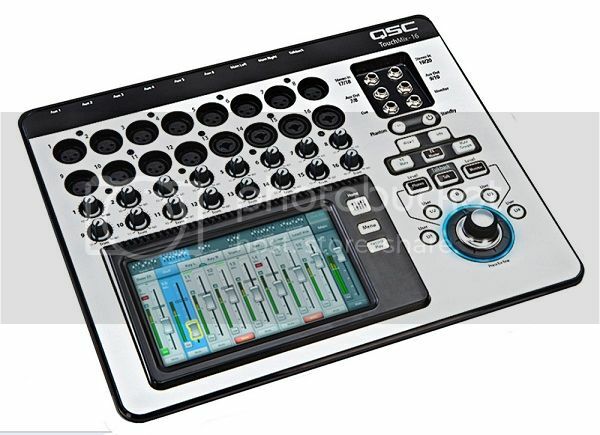 TouchMix v2.0 software standard on new TouchMix-16 and TouchMix-8 models and available as a free download at QSC.com for existing TouchMix owners." 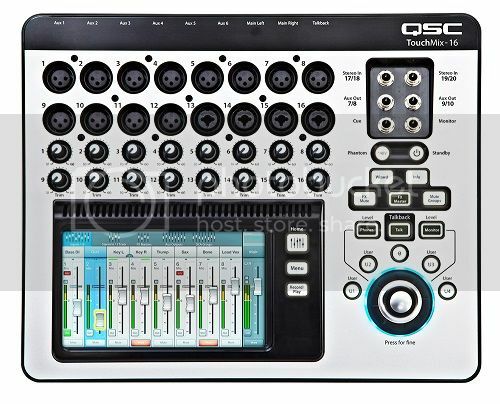 I plan on talking to the folks at the QSC booth at NAMM before I pull the trigger. What do you mean by limited range? 25'? 30'? 50'? Did you clarify the "more options for aux pick off points"? Does that include "pre everything"? I regularly use the TM16 via the WiFi dongle at 40' with no interruption, despite bring directly beneath a 600mw WiFi access point (12' ceiling mounted). I was not expecting that performance. 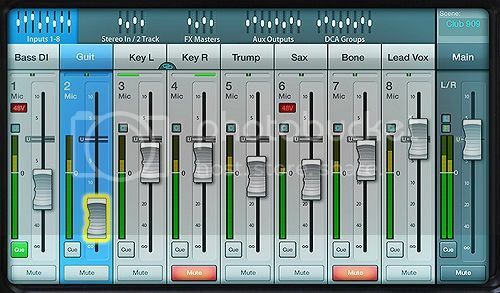 The new menu does have "Pre All", "Pre-Dyn", "Pre-Fader", and "Post Fader" options. Sorry, been quite busy, yes as Frank said Pre options are there now. I have one on its way, can't wait to try it out. Frank, that's great news. After seeing this thread I went to the QSC forum for the Touchmix. There are more than a few posts about lockups and other weirdness that gave me chills. (I just had a lockup with my SL1642 that forced me to send it in for service) What's your experience? Someone in the Lounge commented on how it looked like the weight of the snake would pull it off of the surface it sat on. I currently have a copper snake and if I go this route the iPAD would be forthcoming. Will the TM16 handle the weight of the cable? I have not had any type of lockup in the month we've owned it - I've used it for the in-house gigs at least 15 times. I may have had a momentary drop in WiFi connection maybe 10 times at most. The unit is more substantial than it looks - a fair amount of weight - I was actually a bit surprised. That being said, put enough weight on the connectors, it will tip. I have it on the top of an "upright" piano, and as long as I keep it 2" or so from the edge, I do not have a problem with it tipping. I think if there is any transition from the mixer to the edge, that will take enough cable weight/force vector to be fine. The feet seem soft enough to grip, and not slip. The cables I use are not a snake, but individual cables that drop to the stage deck about 4 feet - two mains cables and two aux cables, and at the most so far 12 channels. The two main cables have a short jumper as the house cables have right angle connectors on them - so there is also the weight of t pairs of connectors unsupported. If the cables or snake were to have a six or eight foot unsupported drop (vs my four), that would be a problem. On a regular table, it isn't going anywhere. 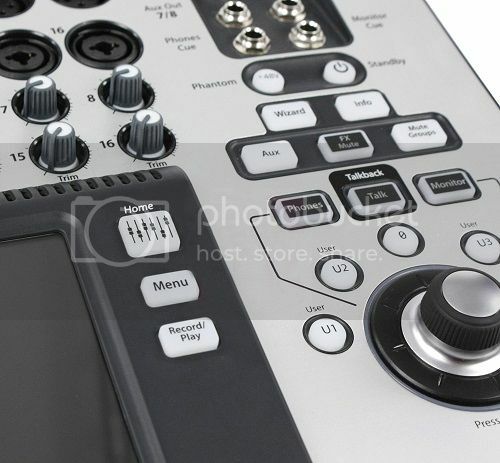 I wish I could compare the stability to say, a Mackie 1608, but I can't. I was very apprehensive of the non-standard power connector - but after seeing it and handling it, I've come away with a pretty good feeling that it is solid, and will not be a problem. A caution is that the connector is quite tight, and could frustrate someone in a hurry to disconnect - I can guarantee that yanking on the cord will not disconnect the connector. It feels more robust than a standard IEC connection.